Hogfish are wrasses of the specialized subfamily, Bodianus. Bodianus contains approximately 45 species. Hogfishes are a commonly kept group of fishes due to their bright colors, bold personalities and ease of care. 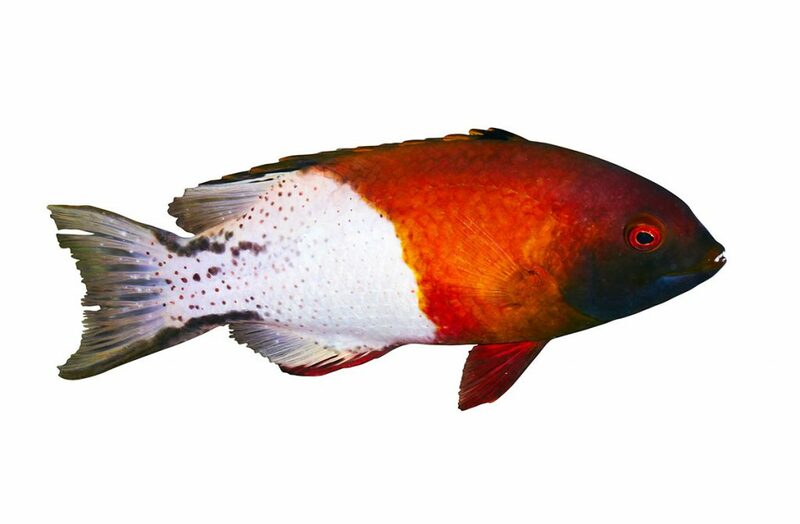 The Spanish Hogfish (Bodianus rufus) is a frequently seen species in the aquarium trade. Other commonly encountered species include Yellow Candy Hogfish (Bodianus bimaculatus), the Coral Hogfish (Bodianus mesothorax) and the Red Diana Hogfish (Bodianus diana). Hogfishes are found in the Atlantic, Pacific and Indian oceans. While they can range in size somewhat, most hogfishes average around 7” (18 cm) in length. Like all members of the wrasse family, hogfishes are protogynous hermaphrodites. In the wild, hogfishes eat live prey such as crustaceans, shellfish and even smaller fish. Hogfishes can make great aquarium inhabitants, provided their husbandry needs such as diet, water quality and tank space are met. Most hogfish prefer a temperature range of 72F (22C) to 80F (26C). Hogfish are generally NOT considered reef safe as they will prey on ornamental crustaceans and invertebrates. Because they are large and active fish, most hogfish will need a sizable tank with plenty of space for swimming. It is important to consider carefully what species of hogfish may be best for your aquarium. While smaller species such as the Blackspot Hogfish (Bodianus opercularis) are suited to tanks as small as 75 gallons, larger species such as the Spanish Hogfish (Bodianus rufus) may be better suited to a larger aquarium.